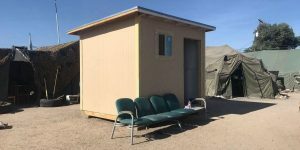 TUCSON, AZ (Tucson News Now) – A new effort is underway to help house homeless veterans in Tucson. Members say they have enjoyed watching the project come to life. They say they’re learning life skills while giving back to the community. “It’s humbling actually. It feels good to be thanked for all the hard work that you’re doing,” Consuelo Cancio said.